Sometimes the creepiest, most disturbing moments in horror games are the ones that keep us aware of our realities. 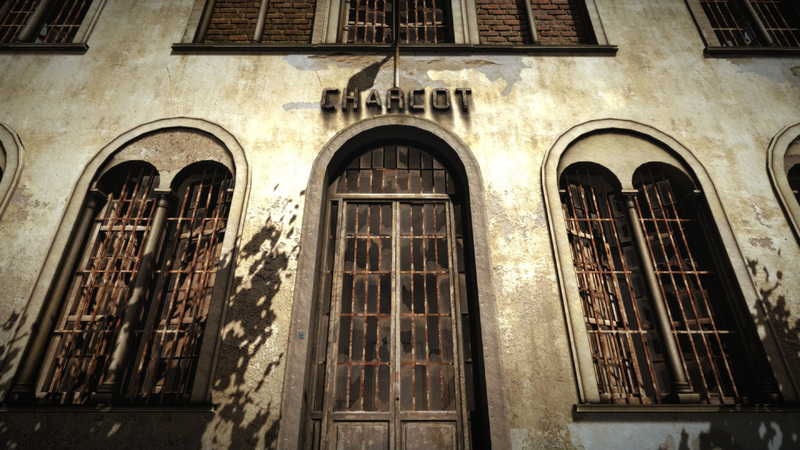 The Town of Light tells a story from the Volterra asylum, an infamous mental institution in Italy shut down for its mistreatment of patients, that was so well researched it could have very well been a real occurrence. Although the story itself is fictional the team pulled together letters, accounts, and other published materials to craft the grim tale of a young woman named Renee, who was admitted into Volterra in the 1930s. In present time we follow her footsteps through the derelict hospital and slowly rediscover the horrors that she experienced there. 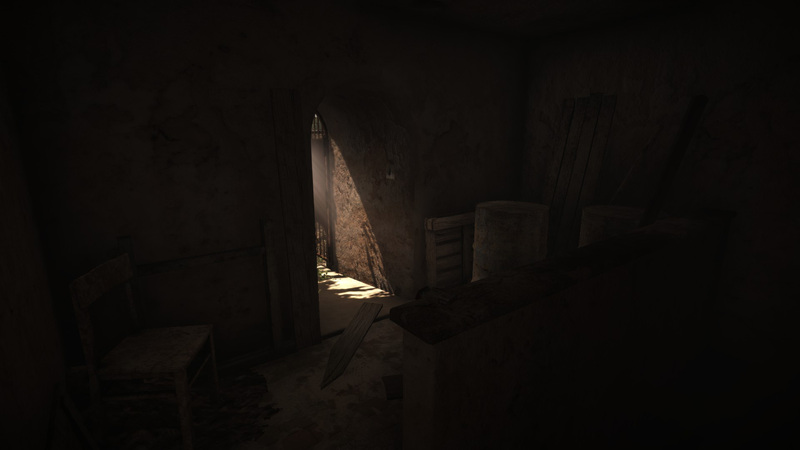 On the surface The Town of Light is a fairly straightforward story game where the main gameplay element is driven through exploration, akin to the style of Gone Home. Players are given little direction but many stories to discover in the run down Volterra asylum, which unlocks itself in phases as different pieces of Renee’s past are discovered. 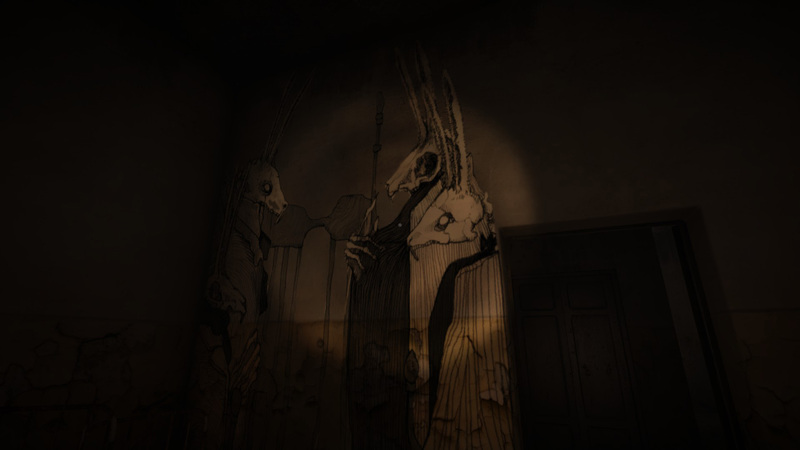 Her story unfolds as the player examines files, objects, rooms, and other sentiments as she remembers the occurrences of her trapped life in the asylum. For the most part the game is self directed with occasional hints from Renee telling you where you might need to head next. Context clues are hidden in the depths of her story as she re-tells it, however it’s sometimes too obtuse to pull out where to go next depending on how clear her accounts are. Thankfully, the game has an integrated help system -- with the press of a button Renee will clarify where the player should go. Besides an occasional “grab this” or “push that” here and there, there aren’t really too many gameplay mechanics outside of some slight interaction with Renee. When examining documents or artifacts, you’re given the ability respond back to Renee via a multiple choice system. At first it seems as if the options are there to move the plot along, but as I found later through YouTube-hopping, your choices actually affect how the game progresses later on in terms of how Renee remembers the events in her life. However, nothing is made clear on how your choices affect your path in the game, and I’m fairly certain the ending stays the same regardless. Renee’s story is extremely heavy, difficult to absorb at times, and is only amplified by her insanity and confusion about her situation. It’s so disturbing that The Town of Light even gives a fair warning in the beginning of the game, labeling it as adult-only material -- but in reality it checks almost every trigger box available. To take it one step further, Renee’s accounts are often represented with artistic depictions, which can sometimes hit hard. This isn’t a game for the soft-hearted. As heart wrenching as Renee's story is, still fell through the cracks a bit. It’s difficult at times to understand where it's going, or what exactly took place -- and it’s also hard to tell if this is purposefully disjointed due to her mental illness, or awkward translation issues, or somewhere in between. This made it difficult for me to immerse myself into her world and despite my efforts, I couldn’t quite get there. 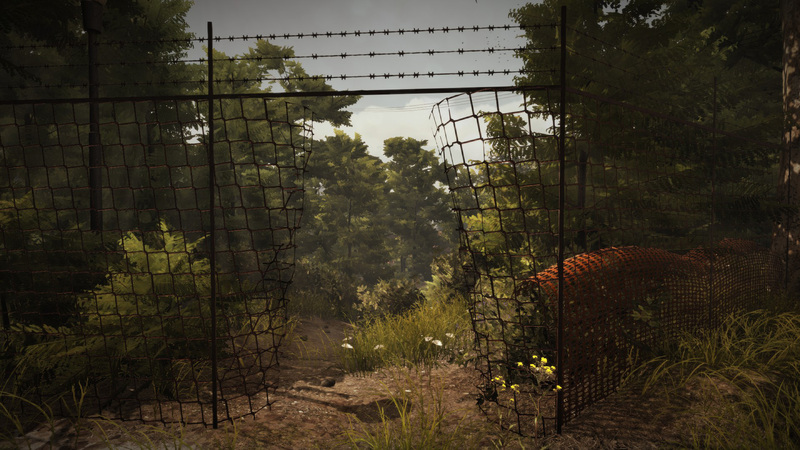 Within the game the Volterra asylum and grounds are extremely realistic and detailed, and after doing some of my own research after playing, seem to be very accurate with what it looks like at Volterra today. However throughout my playthrough I yearned for more ways to interact with the world -- more objects or paperwork to peruse, more brief commentary from Renee about her surroundings, anything to continue to tie this world together. Unfortunately there's not much to interact with, with the exception of plot-driven materials and a few random objects to pick up here and there. 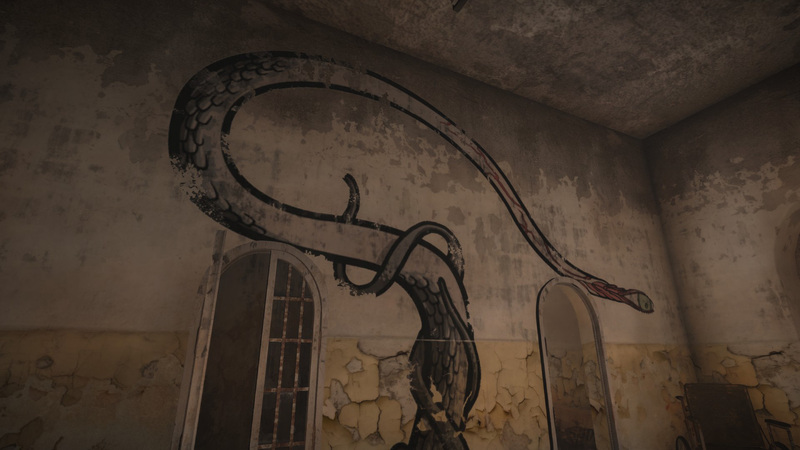 The art throughout the game is probably the most captivating piece of the asylum -- there’s a lot to look at visually from the advertisement posters, to the realistic framed photos, and the insanely creative graffiti art crawling along the walls. Renee’s hallucinations get visually transmitted to the player at times, blurred imagery and upside down hallways, mental trips to faraway places. But what’s probably the most compelling part of this world is Renee’s diary, which is unlocked upon completing the game and accessed through the start menu. Within the diary contains her lightly hinted backstory before coming to the asylum, also containing powerful art that evokes deep emotion. 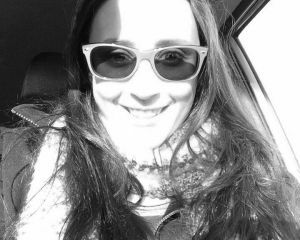 Although Renee’s story is not a direct true account, the terror-filled occurrences in the game are only amplified with actual events and practices that did take place in asylums across the world. The violation of basic human rights, the ignorant medical practices, and the individual stories are all captured in meaningful ways despite her story and the overall message being carried disjointedly at times. I’m a true believer in the sharing of experiences to help us grow and learn as individuals, and The Town of Light captures that essence despite its flaws. However, even if you’re one to stomach these triggers in some way, you must also be open to the power of storytelling over gameplay. If you’re looking for a jump-out action packed horror game, The Town of Light is not for you. But I urge you to open your mind and consider it a separate learning experience.